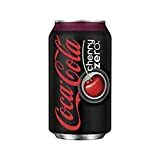 Cherry Coke Zero has the same caffeine content as regular Coke Zero. 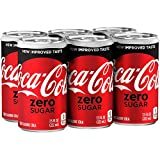 CARBONATED WATER, CARAMEL COLOR, PHOSPHORIC ACID, ASPARTAME, POTASSIUM BENZOATE (TO PROTECT TASTE), NATURAL FLAVORS, ACESULFAME POTASSIUM, POTASSIUM CITRATE, CAFFEINE. 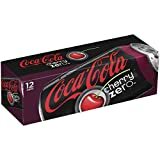 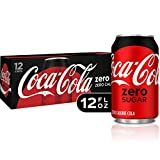 How Does Cherry Coke Zero Compare? 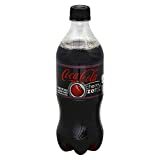 Cherry Coke Zero contains 2.83 mgs of caffeine per fluid ounce (9.58mg/100 ml).